Contact Amanda at Braunton Farmhouse on 01271 377432 or complete the enquiry form. 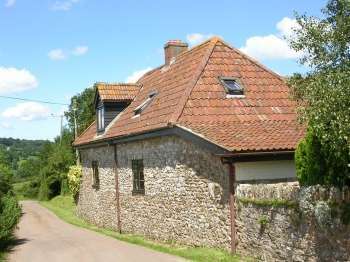 Escape to the country with a group of friends or family to Braunton Farmhouse in Devon. This stylish and beautifully presented 5 bedroom rural retreat is set in its own private gardens, close to the North Devon Area of Outstanding Natural Beauty and just 3 miles from the coast with its beautiful sandy beaches. 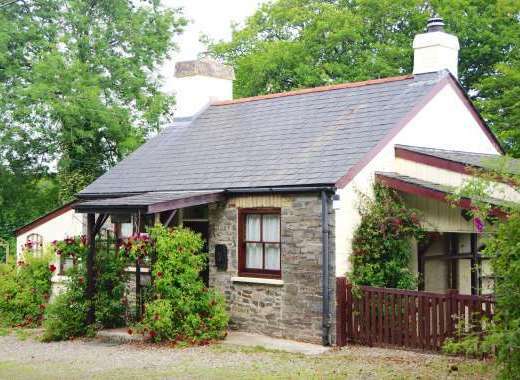 Enjoy waking up to country views on holiday and being just a short car ride from the seaside. This welcoming holiday house is dog-friendly (up to 2 well behaved pets are welcome). • The accommodation successfully combines character, charm and modern style. • Spacious living room with garden and country views, three comfy sofas and a large flat-screen TV and DVD player. • A smaller cosy lounge, with sofa, armchair and large flat-screen TV and DVD player. • Dining room with country views seating 10 people. • Well equipped luxurious kitchen. The property benefits from WiFi internet access. Outside the house has a large garden (ideal for the kids to play in and for the dogs to run around). There is a terraced area where you can enjoy dining al fresco in summer time. This welcoming holiday home is just 2 miles from Georgeham village with its two excellent foodie pubs. The coastal villages of Braunton and Croyde are only 10 minutes drive away and have great pubs and restaurants. For days by the seaside, Saunton Sands and Putsborough/Woolacombe (golden sandy beaches in North Devon) are just a few miles away. Keen walkers will enjoy discovering the South West Coast Path and nearby Exmoor National Park. Families will want to visit the Cacades water park in Croyde just 3 miles away, as well as attractions such as the Combe Martin Wildlife and Dinosaur Park and Exmoor Zoo just 15 minutes' drive away. Braunton is known to be the largest village in the UK and sits near the coast in North Devon acting as a gateway to the amazing beaches at Saunton Sands and Croyde. The village is full of great pubs and restaurants and trendy surf shops. 05 Apr 19 25 Apr 19 £1,395.00 Friday Please Contact Owner/Agency for more info. 26 Apr 19 23 May 19 £1,095.00 Friday " "
24 May 19 30 May 19 £2,195.00 Friday " "
31 May 19 27 Jun 19 £1,325.00 Friday " "
28 Jun 19 18 Jul 19 £1,595.00 Friday " "
19 Jul 19 29 Aug 19 £2,350.00 Friday " "
30 Aug 19 26 Sep 19 £1,325.00 Friday " "
27 Sep 19 17 Oct 19 £1,125.00 Friday " "
18 Oct 19 31 Oct 19 £1,495.00 Friday " "
01 Nov 19 19 Dec 19 £795.00 Friday " "
20 Dec 19 03 Jan 20 £1,950.00 Friday " "